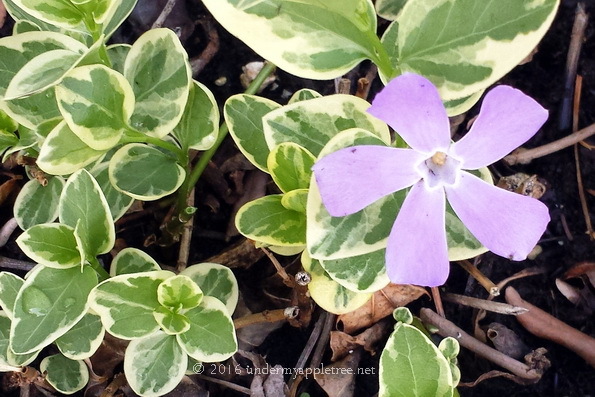 Almost wordless: After three years, my vinca vine decided it was time to bloom. It’s so pretty, it was worth the wait! Great! never seen flowers to this plant!